Adding a flagpole to your landscape is a great way to show pride in your country or to support your favorite team by flying their colors. 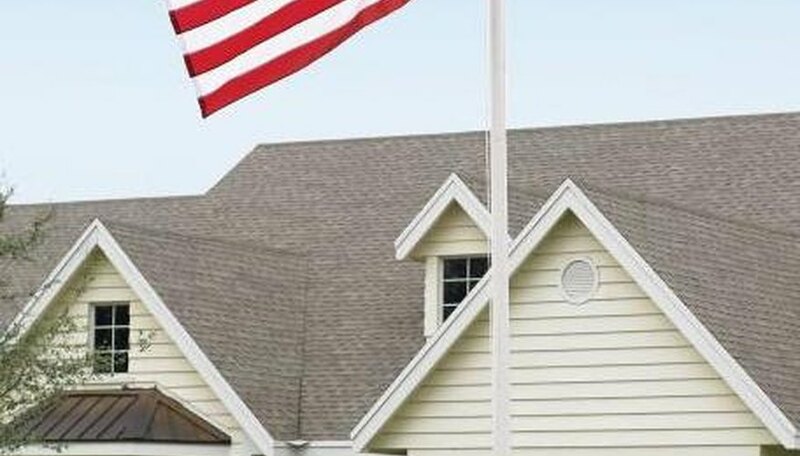 A 20-foot flagpole will make a statement in your yard, but you need to install it properly. 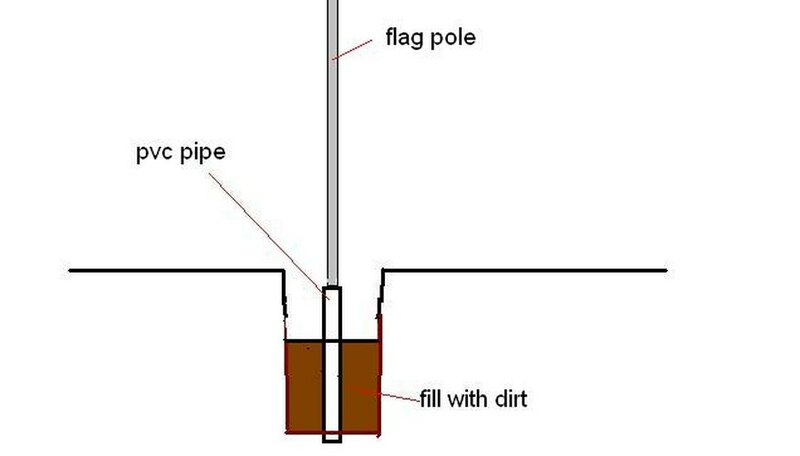 Dig a hole in your lawn with a shovel where you want to install the flagpole. Make the hole 3 feet deep and 1 to 2 feet wide. Using a hacksaw, cut a piece of PVC pipe about 2 1/2 feet long. 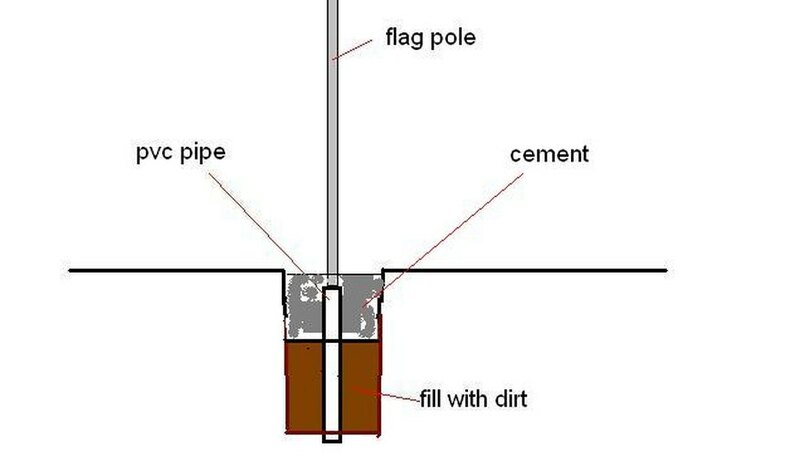 The pipe should be wide enough to slip over the bottom end of the flagpole. Place the PVC pipe into the hole and fill in around it with soil. Add the soil slowly. Check the vertical alignment of the pipe frequently with a carpenter's level, placing the level against the side of the pipe at two different locations. Pack down the soil firmly as you proceed, but be careful not to get any soil into the pipe. Stop filling when about 8 inches of the pipe is still exposed. Tip up the flagpole and slide it slowly into the PVC pipe. You'll want a couple of helpers to assist you with this task. When the flagpole is in the pipe, double-check it with your level to make sure it's straight. Mix a batch of Redi-Mix cement, following the instructions on the bag. Fill in around the base of the pole, covering over the PVC pipe and stopping when you have the cement flush with the surrounding ground. Allow the cement time to set before using the pole.